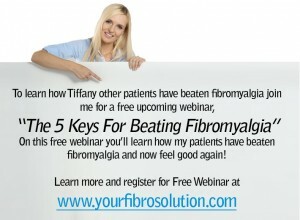 What is CBD and can it really help Fibromyalgia? Cannabidiol (can·na·bid·i·ol) or CBD is a non-toxicating compound, one of over 80 chemicals, known as cannabinoids (can·nab·i·noids), that have been identified in the Cannabis sativa plant. Hemp plants and Marijuana plants are both members of the Cannabis Sativa plant family. Hemp has been used as a remedy for certain health issues for centuries and may have been among the world’s first cultivated crops. It was prescribed by the ancient Greek and Roman physicians. The ancient Egyptians used it to reduce the growth of tumors. The Emperor Shen Neng (2737 BC) recommended cannabis tea for the treatment of pain, arthritis, malaria, gout, and memory disorders. It was also a common fiber used in rope-making ten thousands years ago in ancient China, as well as a common crop in the 13 original U.S. colonies. It was used for sails, ropes, clothes, and paper. In fact, the Declaration of Independence was written on hemp paper. Both George Washington and Thomas Jefferson were hemp farmers. Over the past 20 years, research has been accumulating to show that CBD from hemp plants can have a dramatic, positive effect on health. The National Institutes of Health (NIH) filed a patent on cannabis in 1999. It covers the use of non-psychoactive cannabinoids (CBD) to treat neurological diseases, including Alzheimers’s, Parkinson’s, and oxidative stress diseases-stroke, Chron’s disease, diabetes, and arthritis! In fiscal year 2017, the NIH supported 330 projects totaling almost $140 million on cannabinoid research. Within this investment, 70 projects ($36 million) examined therapeutic properties of cannabinoids, and 26 projects ($15 million) focused on CBD. In 1992 Dr. Ralph Mechoulan, who discovered the psychoactive THC compound in cannabis 30 years earlier, discovered that animals naturally produce what he called endocannabinoids (inborn) chemicals similar to the plant cannabinoids (phytocannabinoids) present in hemp and cannabis. Researchers have gone on to find that there are receptors in the body, which respond similarly to both the endocannabinoids produced in the body and the ones from CBD rich plants. These cannabinoids stimulate the endocannabinoid system (ECS). 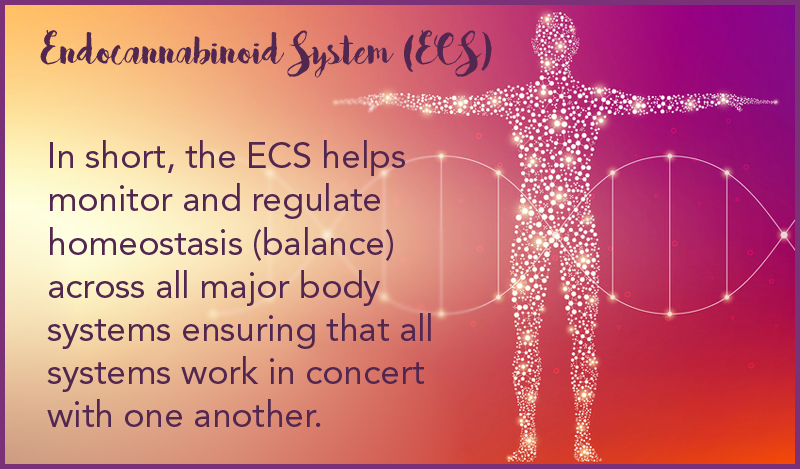 The endocannabinoid system (ECS) is an inborn self-regulating network, responsible for monitoring and balancing a wide variety of bodily functions – including mood, appetite, metabolism, sleep, pain, and immune system response. Interestingly, your body is able to make its own cannabinoids to interact with the endocannabinoid system! This allows it to control communication between cells and regulate your body’s functions. Phytocannabinoids are the name given to cannabinoids like CBD found in plants. Phytocannabinoids including CBD ingested from plants like hemp activates the body’s own natural endocannabinoid system. Does CBD Make You Feel High? Nope. Because CBD is extracted from high-CBD, low-THC hemp, it will not get you high like marijuana does. Hemp contains no more than 0.3% THC by dry weight. They will cause no negative impacts on your sensory awareness, perception, consciousness, reaction time, or behavior. 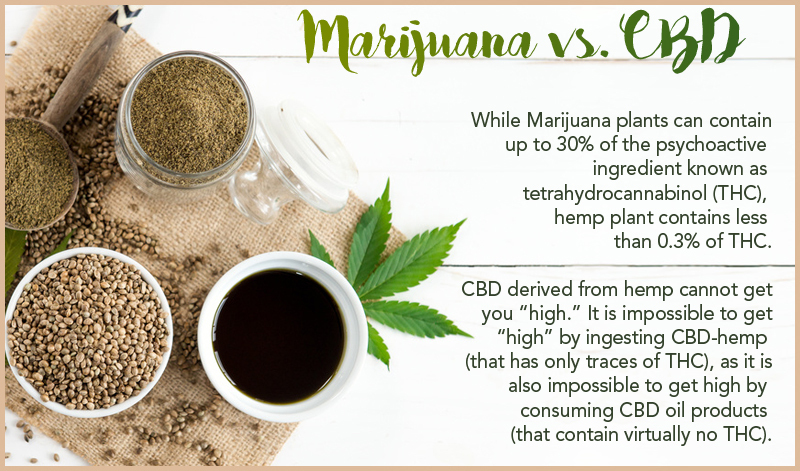 While there are thousands of varieties of hemp, the cultivars used to make CBD oil supplements contain significantly higher levels of CBD. With these CBD-potent plants, it’s relatively simple to extract a hemp oil with high levels of CBD and NO THC. 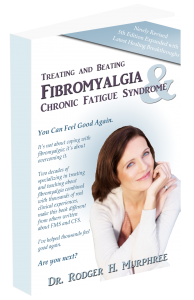 This allows you to take as a daily supplement without dealing with any psychoactive effects. 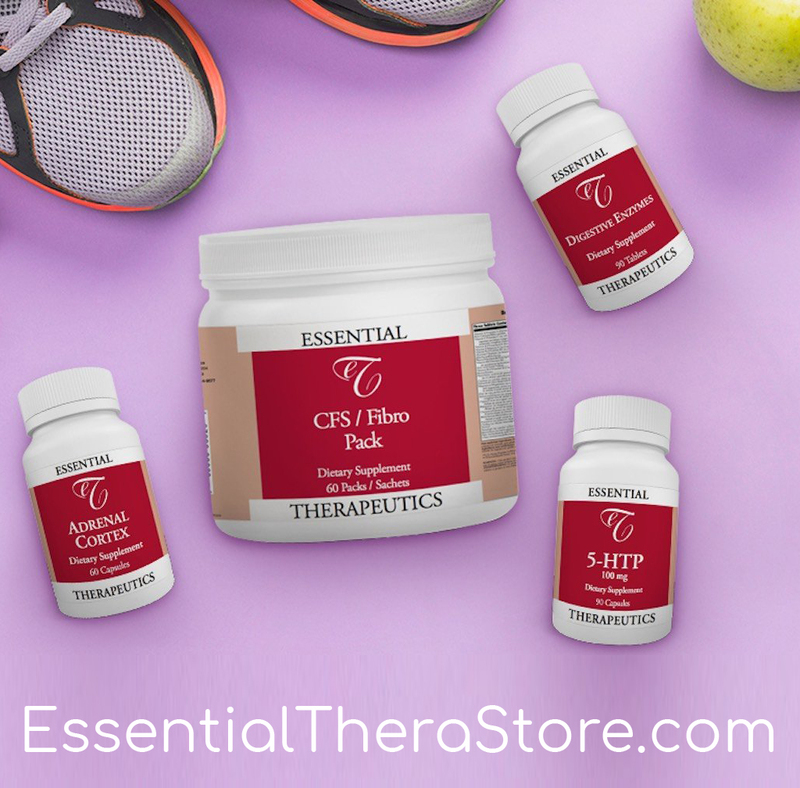 The Essential Therapeutics, hemp based full spectrum CBD products are 100% THC free. Many CBD users have reported an awakening effect after they take their supplement, while others have said they experience a heightened sense of calm. 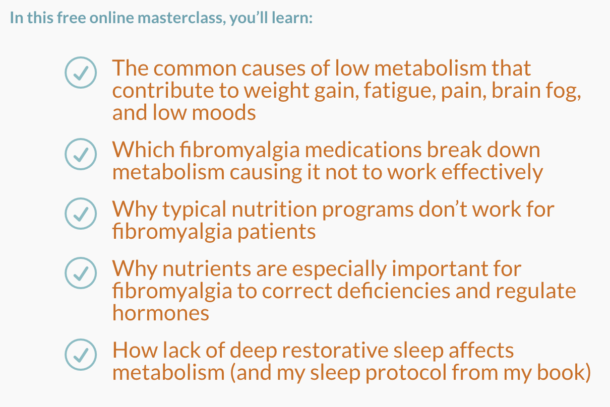 Others say they don’t notice any immediate sensation after taking CBD, but that with regular use they feel increased energy, less pain, and less stressed throughout the day and have improved sleep patterns at night. I recommend you give it a go and see for yourself. Most drug tests look specifically for THC and its main metabolite, THC-COOH. THC is the compound found in marijuana that binds with receptors in your brain to cause a high. Most drug tests do not detect the presence of CBD. Some studies have shown that eating hemp foods and consuming hemp oils can, in rare cases, cause a positive result in urine and blood tests. Therefore, anyone who is concerned about testing positive on a drug test should avoid CBD oil products unless they are guaranteed to be free of THC. 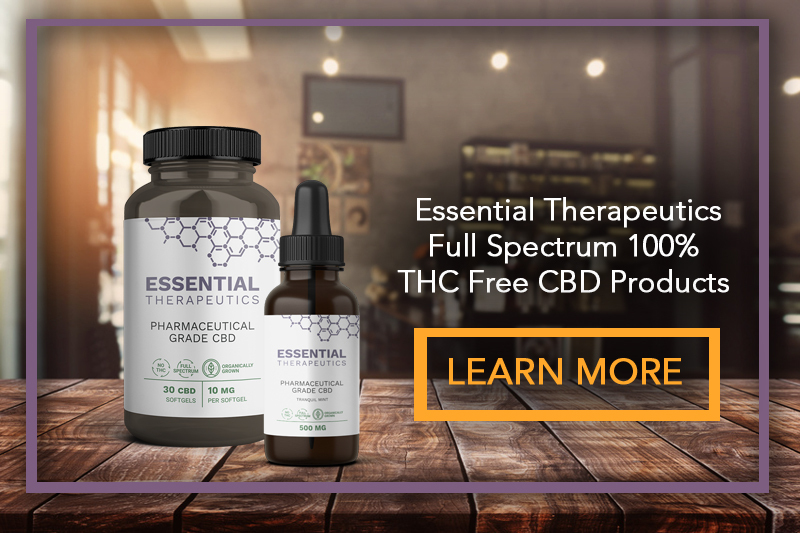 The Essential Therapeutics, hemp based full spectrum CBD products are guaranteed to be 100% THC free. First, once again please know that CBD supplements will not cause you to get “high.” Hemp-derived CBD oil is completely non-psychoactive. Yes, Hemp CBD, with no THC is legal worldwide. The Cannabis Sativa plant includes both hemp and marijuana. Cannabis contains a variety of compounds called cannabinoids, two of the most dominant are tetrahydrocannabinol (THC) and cannabidiol (CBD). Cannabis is native to Asia, but grows almost anywhere. Cannabinoids are the chemical compounds unique to cannabis that act upon the human body’s cannabinoid receptors, producing various effects including pain relief and other medically beneficial uses. Marijuana’s most well-known cannabanoid is tetrahydrocannabinol (THC) due to the fact that it is the most abundant, and also because it produces the psychoactive effects (or the “high”) that drives the plant’s recreational use. However, there are over 85 known cannabinoids all with varying effects, including the non-toxicating CBD. CBD is the abbreviation for cannabidiol, one of the at least 85 cannabinoids found in cannabis and the second only to THC when it comes to average volume. Recently, CBD has gained support for its use as a medical treatment as research has shown it effectively treats pain, inflammation, depression, GI disorders, and anxiety without the psychoactive effects (the “high” or “stoned” feeling) associated with THC. The word “endocannabinoid.” “Cannabinoid” comes from “cannabis,” and “endo” is short for “endogenous,” which means that it is produced naturally inside of your body. So “endocannabinoid” simply means cannabis-like substances that naturally occur inside us.